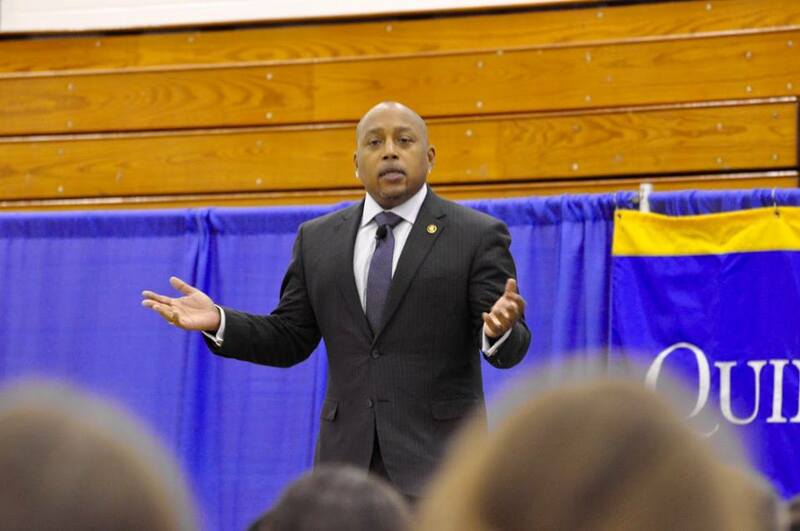 Entrepreneur, investor, author and star of ABC’s “Shark Tank” Daymond John spoke to Quinnipiac last night in Burt Kahn Court. He shared a timeline of his life, which chronicled everything from John founding FUBU (For Us, By Us) to his time on Shark Tank. John is now one of the world’s most renowned businessmen, worth upwards of $250 million, but his first business began in the first grade when started selling monogrammed pencils. He painted the names of all the “pretty girls” on the sides of the pencils, and then tried to sell them to the boys, so they could give them as gifts to girls. However, he discovered the girls were actually willing to pay twice as much for the same pencil with their name on it, which, John said, is called vanity. “I was making bank, but my principal shut down my business after just one month–because he found out that I was stealing the pencils from the guys that I hated in school,” John said. Ten years after the demise of his pencil-pushing operation, John started his first real job at the Colosseum Mall in Jamaica Queens, New York. It was at this moment that he was introduced to people that he described as real entrepreneurs. John expressed to Quinnipiac students and faculty the importance of setting goals, just as the entrepreneurs he worked for had done. This revelation came to John after he brought a new hat home to his mother, who essentially told him it was poorly constructed and that she could teach him how to make it if he went out and bought some fabric. John stood outside the Colosseum Mall at 3 p.m. on Good Friday with the creations he and his mother made and sold $800 worth of hats in one hour. “My goals were starting to unfold in front of me,” he said. This was the beginning of John’s financial success. But he stressed throughout his speech that there were five “SHARK” tools that he used to be successful. Setting goals. Do your Homework. Adore what you do. Remember you’re the brand. Keep Swimming. John explained his “Remember you’re the brand” part of his acronym, saying it is important to be able to describe oneself in two to five words. His words to describe himself are currently “I am on a quest,” but he said that these are definitely subject to change. Sophomore Cord Belding thought John gave a captivating speech. Freshman Adam O’Rourke said John had some great points. Upwards of 1,300 people attended the event, according to associate president of public relations John Morgan. 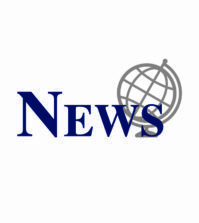 CORRECTION: The article was updated to reflect that upwards of 1,300 people attended the event.